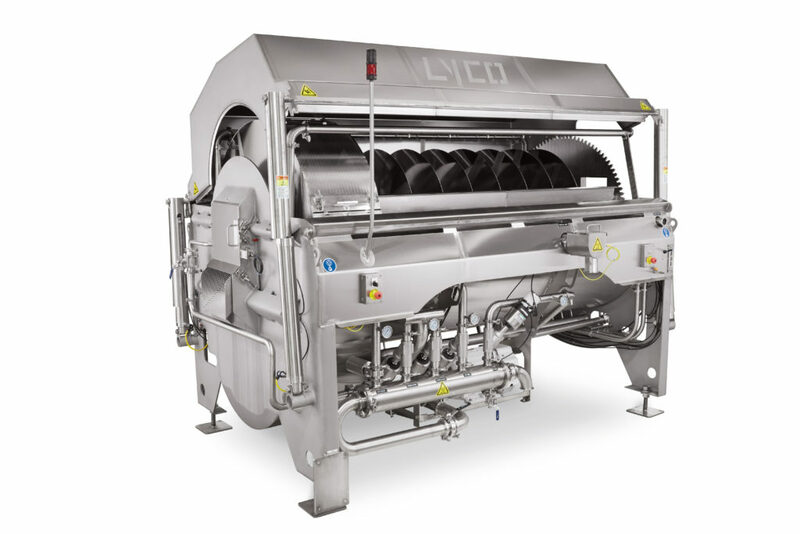 Product is fed into the machine by gravity chute or water cushioned in-feed flume. One can adjust controls to accommodate different products and temperatures. Ideal for hydrating and cooking, pasta short goods, long goods, filled pasta’s, and all types of rice. You can blanch vegetables, fruit, and hydrate dry beans. 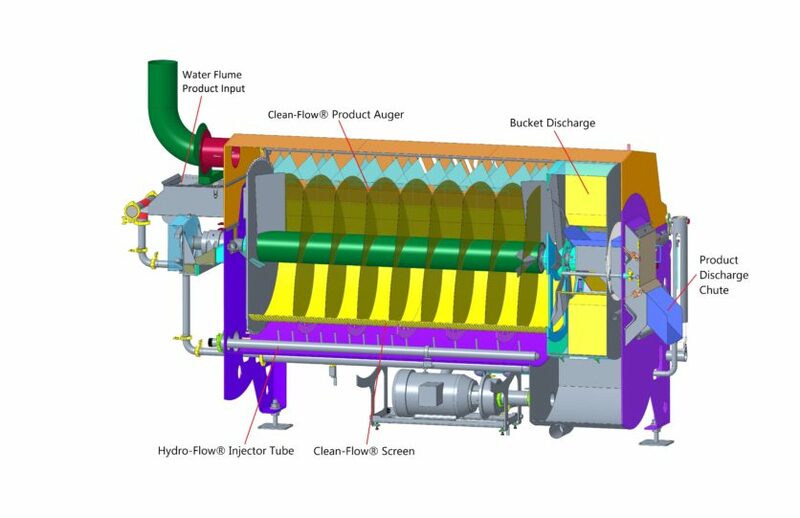 Product is always first in/first out, as product exists the cooking zone, product is gently lifted with dewatering buckets onto a discharge chute or transfer flume.